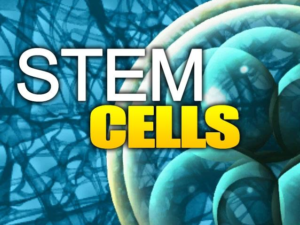 Stem cells are important cells in the human body. These highly specialized cells make uptissues and organs, which form soon after fertilization. Throughout life, we rely on persistent stem cells to repair injured and damaged body tissues, as well as cells we lose from blood, hair, skin, and gut lining. Stem cells have two main defining characteristics: the capacity to self-renew (divide and generate more stem cells) and the ability to differentiate and turn into mature cells that make up organs, tissues, and other body structures. Embryonic stem cells – Exist in the earliest stages of development. Adult stem cells – Also called tissue-specific stem cells, they appear during fetus development, but remain in the body for the duration of life. Induced pluripotent stem cells (iPSs) – These are created in the laboratory, and they are developed from specialized cells such as the skin. What do tissue-specific stem cells come from? Adult stem cells are multipotent, which means they arise from many mature cell types (correspond to certain tissues). These adult stem cells form cell types from many tissues (called unipotent). Some adult stem cells correspond with the tissues in which they reside (called bipotent). Stem cells often replace dead cells or they can restore tissue following an injury. Pluripotent stem cells (also called embryonic stem cells) give rise to all cell forms in the human body. They can grow in vitro, and if given the right cues, they may differentiate to a variety of mature cell types. Because of this characteristic, these cells are valuable in regenerative medicine. Embryonic stem cells are collected during the early stage of development, when the fetus is only a mass of cells. The aim of regenerative medicine is to repair tissues and/or organs that are damaged from aging, disease, or trauma. This is done to restore and improve function. Regenerative medicine is used to describe medical research and treatments that use stem cells to restore the function of tissues and organs. This can occur by administering stem cells, using cells derived from stem cells in the laboratory, or by administering drugs that potentiate stem cells that are present in the human tissues. What diseases are treated with adult stem cells? As an example, mesenchymal stem cells show potential for articular cartilage regeneration in patients with arthritis. In a recent study, intra-articular stem cell injections benefited patients with knee osteoarthritis. Based on this study, patients had improved joint function, decreased pain, and reduced cartilage defects following injections. Jo CH, Lee YG, Shin, WH (2014). Intra-articular injection of mesenchymal stem cells for the treatment of osteoarthritis of the knee: a proof-of-concept clinical trial. Stem Cells, 32(5), 1254-1266.